Every month Dennis produces a new audio devotional CD which contains 5 different devotionals on all Bible topics that range the gamut of the entire Bible. These messages normally run about twelve minutes in length and are a great way to feed your spirit as well as instruct you in the ways of the Lord. The beauty of having these devotionals on CD discs is that you can easily play them in your car as you drive about and redeem those wasted hours that are normally spent on random thoughts while listening to music. In Psalm one we are told of a great blessing that falls upon a man or woman whose delight is in the law of the Lord, and who meditates upon God's word and ways day and night. Such a person will be like a tree planted by rivers of water. He will never wither, and will prosper in whatever he does! These CDs provide a wonderful way to help you to continually meditate upon the word of the Lord. We give these CDs as a free gift to our "Friends of Grace" partners who support our ministry with a monthly gift of $25 or more, or who give one time yearly gifts of $300 or more. But if you are not able to partner with us at this time, we still want you to be able to be blessed by Dennis' teachings. 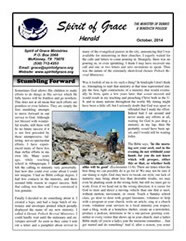 This is why we have made this subscription service available to you. 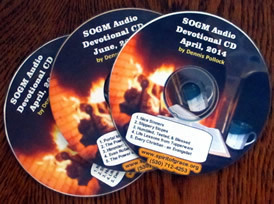 For the low cost of $25 we will enroll you in a one-year subscription for our Audio Devotional CDs. This means that for the next year you will receive one CD each month (twelve in all) for a price of about $2.00 per disc. You can see that we are making these discs as reasonable as possible to reach as many people as possible. 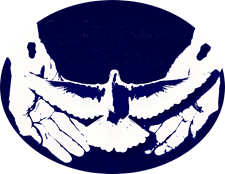 We hope that you will someday be able to partner with this ministry, but until you can, or even if you never choose to, we want you to be fed and spiritually nourished by the devotional teaching messages on these CDs. To get started you can either send a check for twenty-five dollars to our ministry and request a one year subscription for our Devo CDs (see our address at the top of the left sidebar), or you can pay through PayPal or a credit card by clicking on the button below.